I finally joined the rest of the craft world in making these flat marble magnets! These have been done all over the place-- you can find tutorials here, here, here and here. I do have a tip that makes the project go much faster, though! I didn't have any pretty scrapbooking paper around, so I cut shapes from a few of the greeting cards we got at our wedding. I was thinking that this would be a great use for those Valentines Day Cards that we are going to get tomorrow! Much better to see them all year round, than stash them away in a shoe box. I picked up the marbles at the dollar store. The magnets and mod podge came from Consumer Crafts. 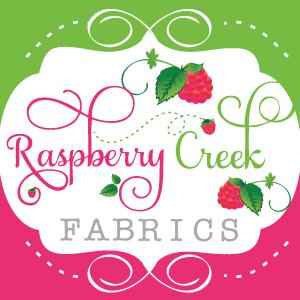 Become a fan of Darice Crafts on Facebook! I love the extra strong magnets. They are a bit more pricey but they are very thin and barely visible when you look at the magnet from the side. I also made an alphabet marbles set for my little ones. I stole the idea from the fabulous Kristylee and Cassidy at Mom's Have Question's Too. 1 package of marbles from the dollar store had enough for 2 sets of alphabets and quite a few magnets. To make these, I used the this printable from Confessions of Homeschooler. I had to reduce my copy by 45% to fit on the marbles. To make them a bit more sturdy, I mod podged each letter to card stock. Well, I used another greeting card since I didn't have any card stock laying around. Here's my big tip-- It is so, so, so much easier to cut the paper after the marble is already glued on. It took me about 20 minutes to make a little over 60 alphabets. I spent 10 minutes gluing the marbles onto the letters, let them dry overnight, and then trimmed them in the morning. So easy! Although my kids aren't spelling yet, they like to hold them and say the letter names and sounds. It's a neat alternative to flash cards and works well with our Letter Factory DVD. I hope everyone has a wonderful (and crafty!) Valentines day!